As my colleague Jared Newman pointed out, Facebook has already built all the sought-after pieces of a smartphone, including location-based services, a robust contact system, and, given the site's text-based framework, an emphasis on our modern preference of texts over phone calls. All the company would need to do is slap these features onto a phone and everything is set. Jared also mentioned that other manufacturers are integrating their own iterations of social feeds into their smartphones. HTC has Friend Feed, Microsoft has People Hub, Palm has Synergy, and BlackBerry 6 will have its own stream. Since these social feeds include Facebook -- the biggest social network of them all -- it only makes sense that Facebook would have its own smoother, faster and better stream. If the Facebook phone emphasizes socialization -- as it surely would -- it has a unique opportunity to connect the site's more than 500 million users. Think about friend-discovery features that utilize shared interests and nearby locations. Though this would have to be an opt-in service for the sake of safety and privacy, interested parties could reach out to strangers and make new friends. Finally, social networking goes beyond the Web. MySpace director Sean Percival’s satirical take on the rumored Facebook phone. Whenever Facebook changes its user interface, fans rebel, but one thing is for certain: Facebook has an attractive and recognizable blue-and-white interface, and could bring this aesthetic to a smartphone's physicality. So many smartphones nowadays are boring black and require cases to glow with color. Add a splash of Facebook's blue and that will change the bland non-color trend. When Facebook unveiled its news search feature earlier this month, it was apparent that the site had plans to branch out from its roots -- and take on Google in the search game. If these types of innovations continue, and Facebook makes a bundle off a phone, the company could invest more time and money into battling the big dogs of search. Facebook is the most popular social networking tool, but that doesn't mean it's the only game in town -- one cannot forget Foursquare and its comrades. A branded smartphone would obviously need apps, but would Facebook allow competition into the arena, or, given that it's attempting to be the go-to app when it comes to location-based services, will it ban the apps we know and love? Facebook is practically synonymous with privacy violations, and a Facebook phone would present the same problems all over again. Just like connecting 500 million people across the globe could be a cool idea, it could also flake out, get hacked or otherwise splinter and unleash boatloads of private user data into the wireless stratosphere, just like AT&T did with the iPad. Not only would people know exactly where you are, they'd have access to your contacts, stored credit card numbers, and other stalker-friendly information. Google's Nexus One didn't distinguish itself. 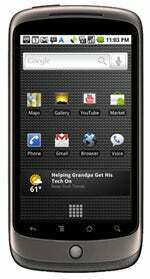 Remember the Nexus One? Even though Google's smartphone was one of the better Android handsets out there, it failed and Google was forced to close shop. Google's failure to distinguish itself with a branded smartphone should be an air raid siren in Facebook's ears; one that, if ignored, might prove atomically disappointing. One of the pros to a Facebook phone is that all the pieces are already aligned. Flip that coin: what could Facebook possibly do to differentiate itself from the slew of other smartphones out there? Since Facebook is one of the most popular apps, and it already syncs contacts with the iPhone, there doesn't seem to be much room to grow. 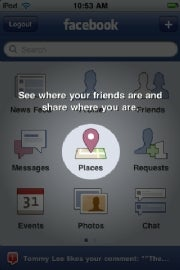 It'd be cool if Facebook built its own OS, but reports say that it is already working with Android. Without any stand-out additions, a Facebook phone stinks like Microsoft's miserable failure, the Kin. This is just a prediction, but eventually Facebook's omnipresence is going to give us a vomitous Pavlovian reaction to the name. People are abandoning Facebook for grass-roots social networks like Diaspora and Scoop, which promise better privacy controls, less aggressive advertising, or, in the case of Scoop, a college-only exclusivity that has an "I'm special" appeal opposite of Facebook's "I'm everywhere" repute. A Facebook phone might intensify this feeling and even turn heads away in disgust.